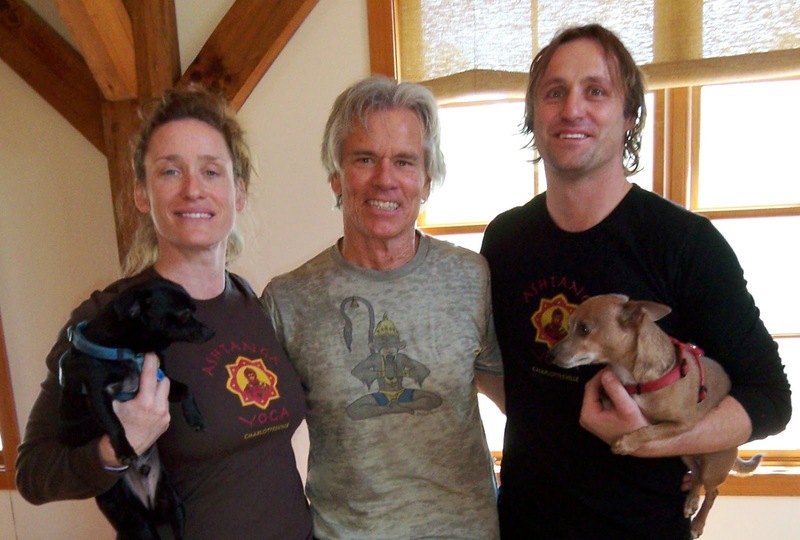 All happy ashtanga communities are alike. Of course these communities are not exactly alike, but they are alike in that they all have many of the attributes that make up our happy ashtanga community. A space, perhaps beautiful, that makes people feel welcome, even inspired. There is a picture, image or sculpture of hanuman hung or displayed somewhere in the space.Tim Miller says so!! This space is clean. It is heated in the winter and perhaps there is a little fan or a window open in the summer. Ashtangis only natural enemy is air-conditioning. A core group of dedicated long term or will be long term type of ashtangis with 4-6 day a week regular practices. This core group of ashtangis welcomes and practices next to the satelitte members of the community. once a weekers that have been doing ashtanga forever and are just clinging to that once a week practice. the led primary people. where do they come from? the sunday morning vinyasa divas in the fancy outfits of hard tail or lululizlemmon boutique level of stunning. 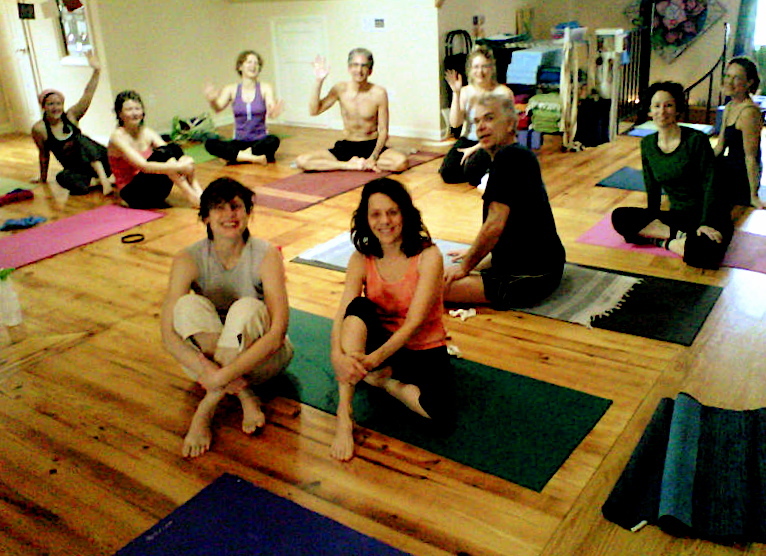 the visiting ashtangis that are part of another happy ashtanga communitees core group of dedicateders. this holiday season we had many wonderful visitors come practice with us and some of us went and practiced in other happy studios. It was like a holiday ashtangi exchange program! There is a sort of set day or practice, not set in stone, but sort of set, when the people go out together and eat and/or drink tea and coffee. This sort of set going out is most often for anyone and everyone to join, the one big happy family rule firmly in place. There is a massage therapist. Ours in named Patrick Robinson. Each community feels that there massage therapist is THE BEST massage therapist. Even though this amazing, and strong being does not practice ashtanga, he is a part of our community none the less. He loves ashtanga almost as must as we do. He helps keep us from falling off our fiscal, I mean physical cliff. There is a hair stylist. 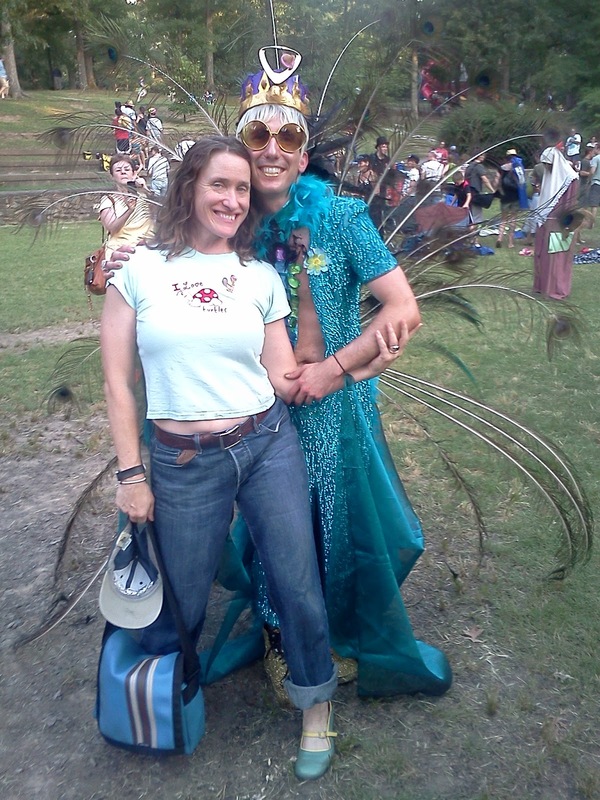 Ours is named Ray Lingle, and not to brag, but he won the Beaver Pageant in 2011. Once a month he volunteers at the Duke Cancer Center where he cuts patient’s hair, helping them get through treatments and growing there hair back after treatments. He cuts and styles their wigs. He also plays piano in the Cancer Center lobby to lighten the spirits of all who listen. He works in an Aveda Salon and therefore we are happy and we have great smelling product too! There is an ambasador. The amabasdor is one of the core group of dedicated practicers and has one of those jobs that takes him or her all over the country and maybe even world. We are lucky to have two official amabassdors. Skip and Dan. They go lots of places and wherever they go, they do ashtanga. It is always wonderful to hear of other communities and know that ashtanga is ashtanga all over the place. We have a budding ambasador named Farnoosh. 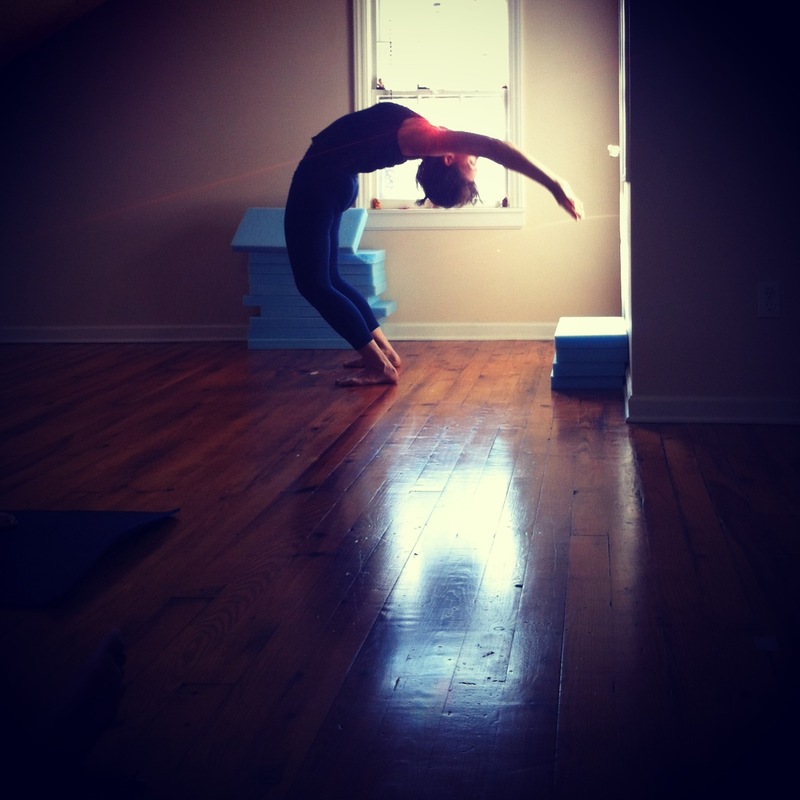 She shows great promise in spreading the ashtanga happiness all over the wherever she travels to type of personality. Satelite Communities that are a part of us. We have a bunch! OBX, Maui, Richmond, Harrisburg, Charlottesville and of course Philadelphia. We even have tiny satellite communities right here in our area. 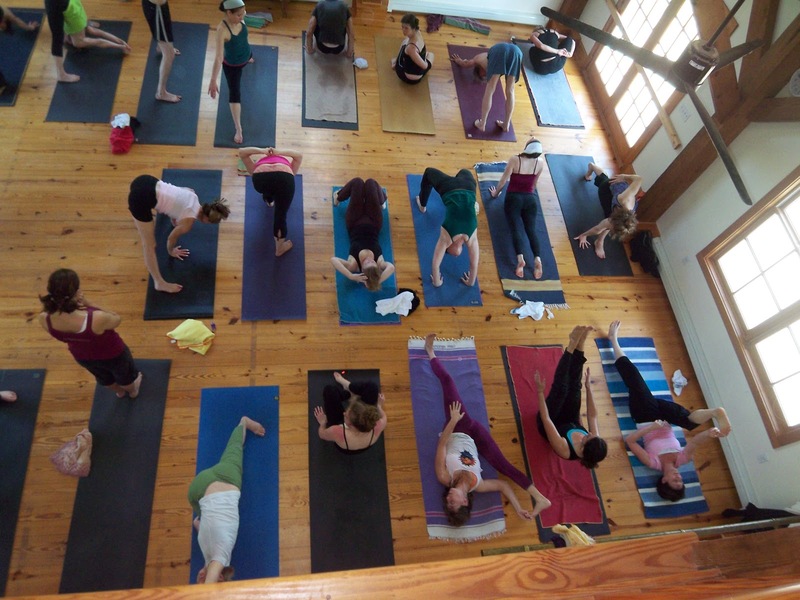 Ride the Breath and Ashtanga Yoga Cary are part of us. We are friends and buddies and live close enough to practice at each other’s studios. We all share the doctor. There is a doctor. This doctor DOES practice ashtanga and IS one of the core group of dedicated long termers. This doctor does not actualy treat the community, but is able to offer advice on where to go and what to worry about and what to not worry about. I once got a sudden and awful case of dizziness while doing ashtanga during a workshop I was hosting. It was scary and awful and yucky. All of the yogis were like: “Maybe too much coffee, maybe not enough coffee, maybe you are pregnant, maybe its just stress, is it a new moon?….” The doctor pulled me away from the yogis, did a few hand moves in front of my eyes, asked a few questions and told me what he thought it was. He wrote it down and told me to go to my primary physician ASAP and get a second opinion. Our doctor was correct. I was not suffering from a psychic smack-down from practice hard during a full moon, I had benign positional vertigo. Our community is chock full of doctors. We in fact , of course not to continue to brag, but we have a mulha bandha surgeon. She repairs female’s pelvis floors with a robotic suit AND she travels the world teaching other doctors how to use the robotic suit. We are located within spitting distance of Duke University so we have perhaps more than our fair share of poetry and cultural studies types of doctors too. Many of these Phd type of doctors are with us for only a few years, but since it is such an intense time in their lives they seem to leave an indelible print on the community and remain a part of it/us even when they go off and seek the glory of the tenure track teaching postion in far away lands. Our current brood of PhD candidates are a very special bunch and it is going to super sad to see them head off into the tenure track, but we know from experience to appreciate them while they are here with us. And every once in a great while a community is fortunate enough to have one of these PhDers get the job right here! The Amazing Dr. Towns got the job at University of Chapel Hill. He recently purchased a home right here in our community conviently located between work and yoga. How sweet is that? We get to keep Dr. Towns! In fact, we christened his new house with an after led primary series New Year’s Day Ashtangi Brunch! So about that quote from Tolstoy’s Anna Karenina. I read the book and saw the movie. Even though I of course love Anna and her brother, they do skim the cream off the top of life, and they do this as a general rule. This habit of living on the cream is what I think made them unhappy. For me to be happy I had to learn to give up the impulse of grasping for the cream. To really really get at the ashtanga I must work and play by the rules. Not the rules that are made up, but the real rules. The rules and laws of gravity and nature and food and water and mind and matter. The fun stuff and the passion are fun and passoinate, but they are merely the cream. They are not the contents. Every happy ashtanga community follows the rules. And the rules is, well there is only one rule, and that rule is practice. I strongly suggest you find a group of people that ascribe to this rule and practice with and amongst them. A.I. gives us a few closing words on the importance of “practice”. We know! We know!